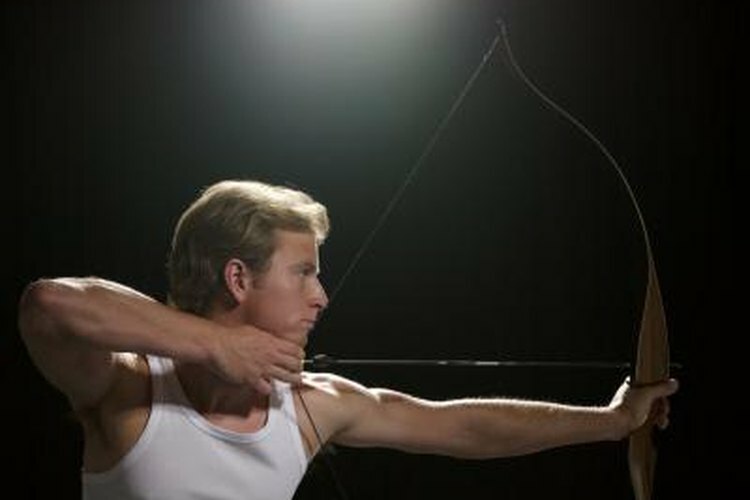 An archer is aiming a bow and arrow. A Whisker Biscuit allows you to keep an arrow balanced between the bow and bowstring. Its almost-circular interior brush looks like the bristles of a beard and support the arrow. They allow the arrow's fletching, whether feathers or vanes, to pass without interference, as well. Your choice of Whisker Biscuit depends on your arrow's size.